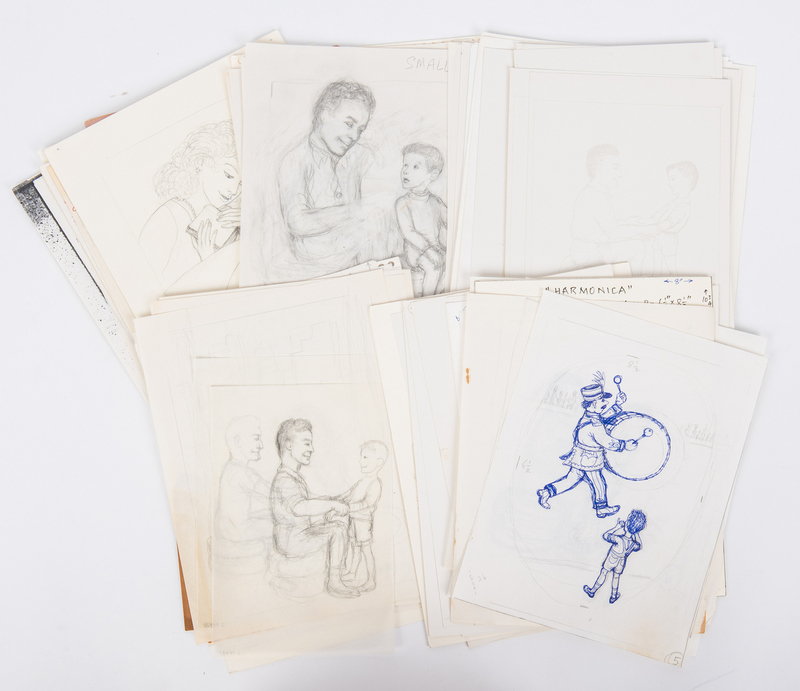 Lot 104: Garth Williams Archive of 340 Sketches, Letters, etc. 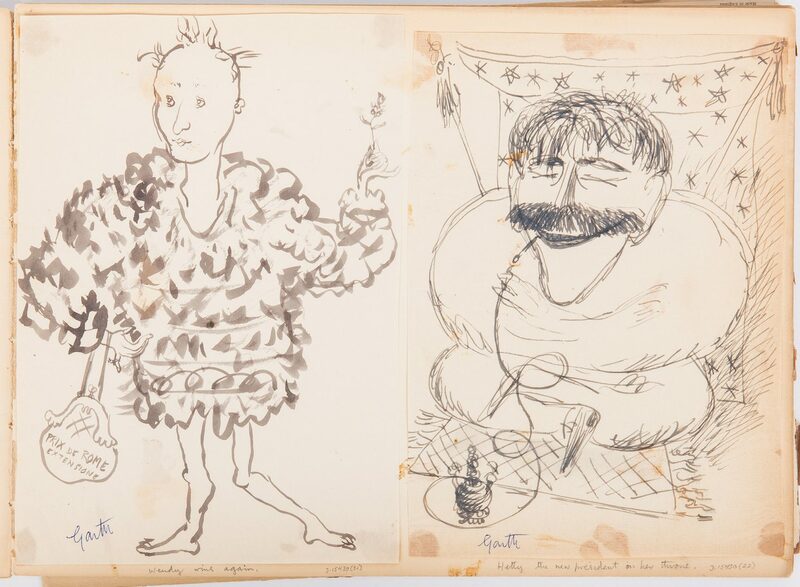 You are here: Home >> April 27, 2019 Spring Discovery Auction >> Lot 104: Garth Williams Archive of 340 Sketches, Letters, etc. 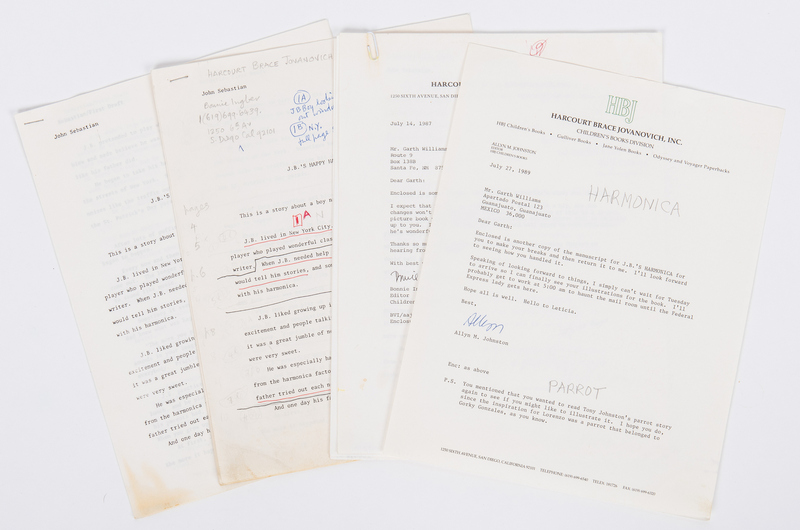 Archive of three hundred and forty (340) Garth Montgomery Williams (Colorado, 1912-1996) sketches, letters pertaining to "J.B.'s Harmonica", and more. 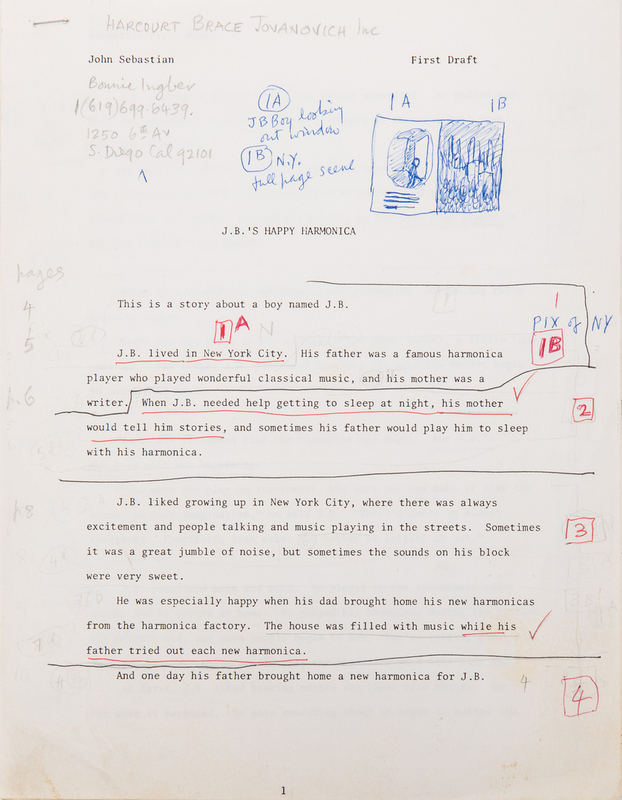 1st-128th items: One hundred and twenty-eight (128) sketches, letters, and other documents pertaining to "J.B.'s Harmonica" written by John Sebastian and illustrated by Garth Williams, published by Harcourt Brace Jovanovich (HBJ), San Diego, CA, 1993. The majority of the items are pencil or ink sketches on paper or card stock with some artist's proofs, and a mock-up of the book. Also included is a one page TLS from Bonnie Ingber, Editor of Children's Books for HBJ, dated July 14, 1987, written to provide Williams with a First Draft of the book. 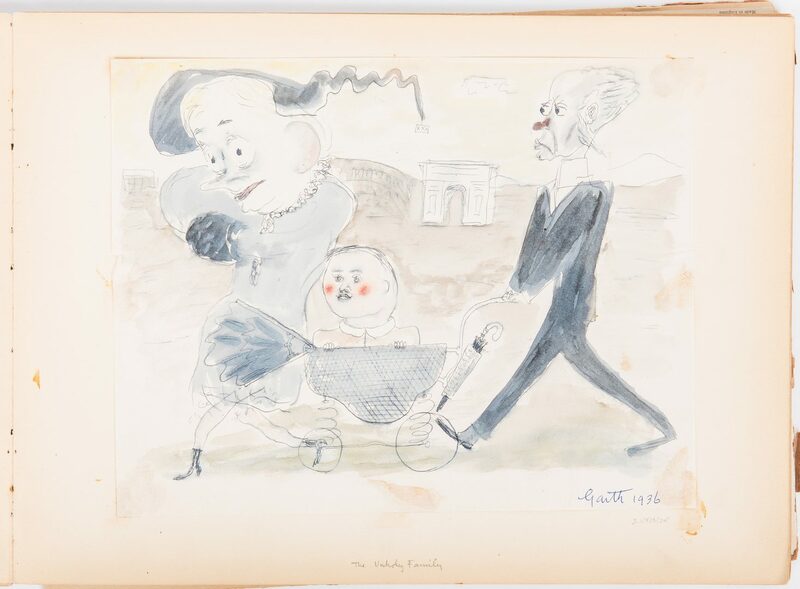 Also included is a one page TLS from Allyn M. Johnson, Editor of Children's Books for HBJ, dated July 27, 1989 written to provide William with another First Draft of the book for Williams "to make his breaks" on. 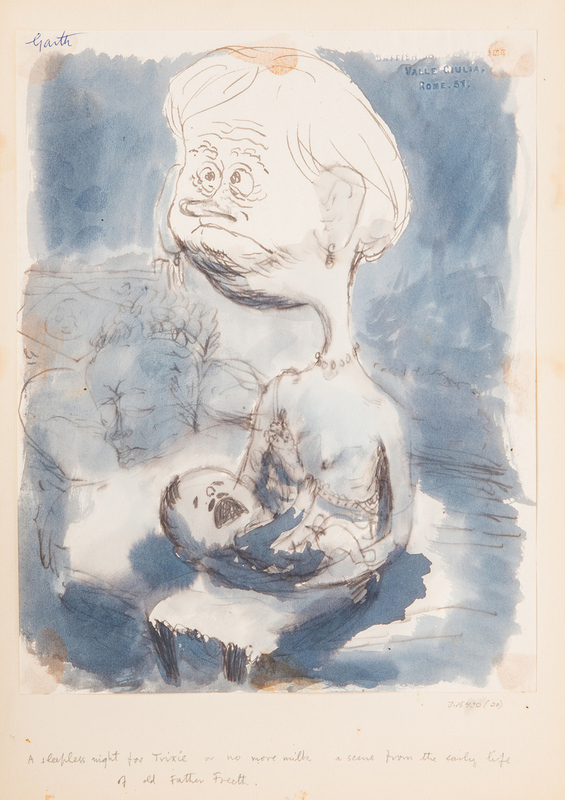 It also mentions "Tony Johnston's parrot story…to see if you might want to illustrate it". A third, blank First Draft is also included. Twelve (12) pencil on card stock sketches with page numbers, four (4) signed "Garth Williams", nine (9) with "Happy Harmonica" or "Harmonica". 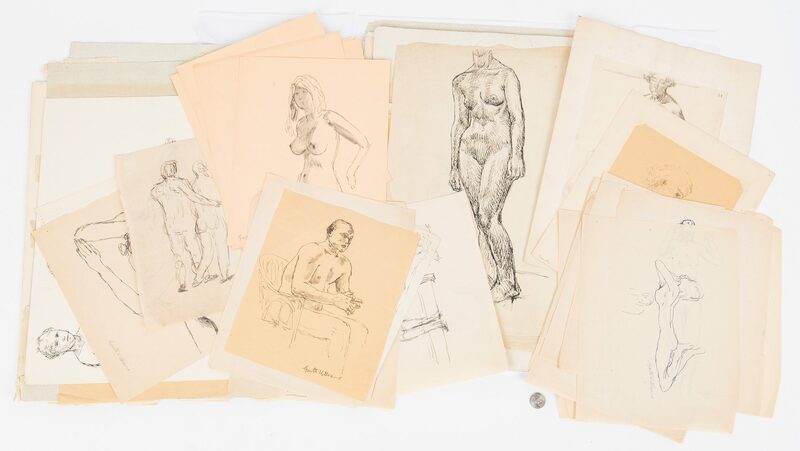 Ranging in size from 1" H x 7 1/8" W to 11 5/8" H x 9 1/8" W. 129th-281st items: One hundred and fifty-two (152) pencil, ink, and water color on paper and card stock sketches of human figures, mostly of nudes depicted in various poses and activities. 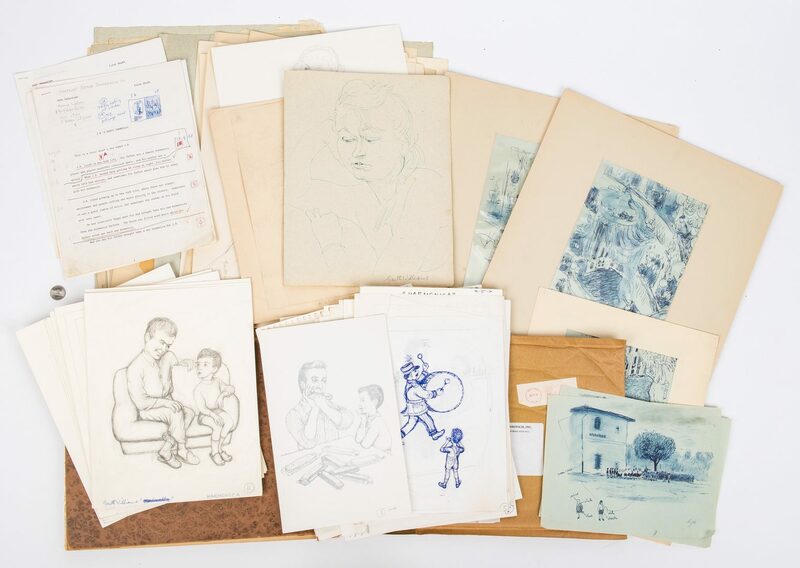 All signed or initialed, some with dates circa 1930's, some with titles, such as "A Quick Life Study". Five (5) mounted to card stock. 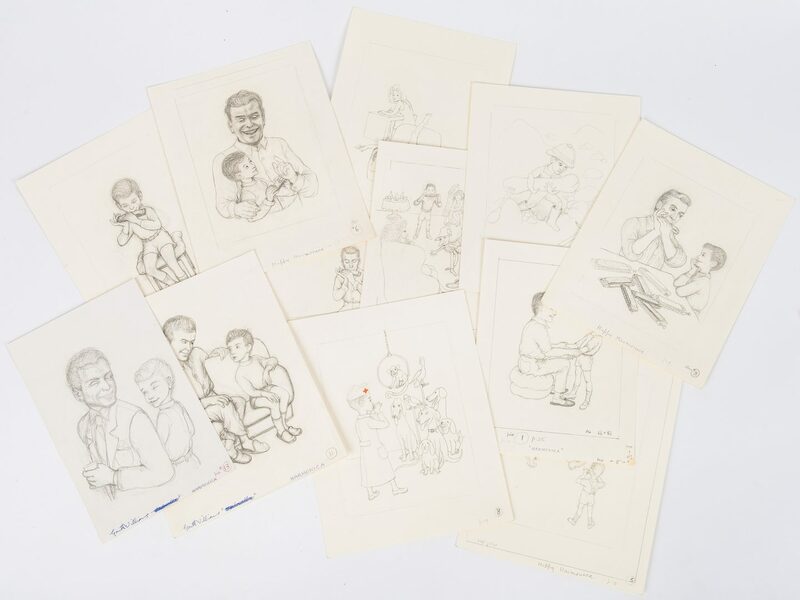 Ranging in size from 5 1/8" H x 4 1/4" W to 19" H x 13 1/8" W. 282nd-334th items: Fifty-two (52) pencil, ink, and water color on paper sketches of people in a brown card stock scrapbook. 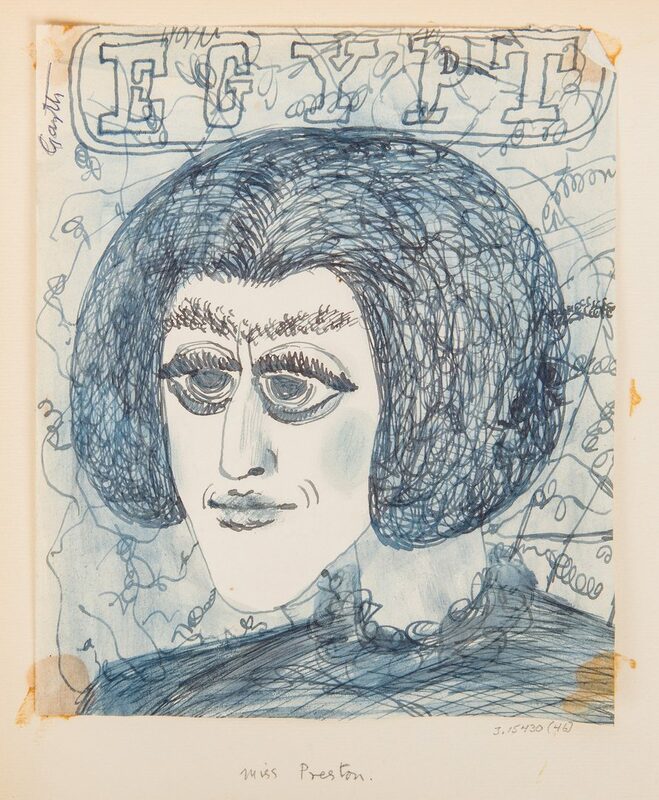 Many of the individuals are identified with handwritten inscriptions on or below the sketches. Most signed or initialed, some with dates circa 1930's. 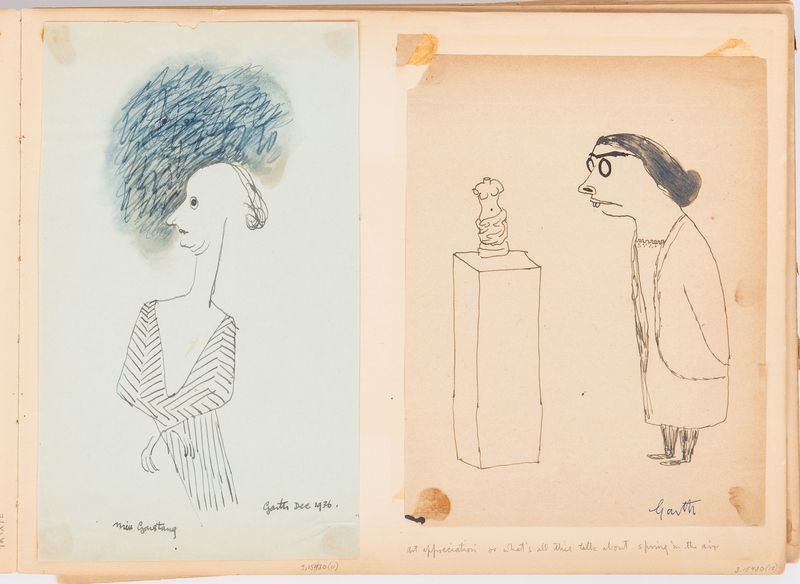 Most sketches mounted in scrapbook, some loose. 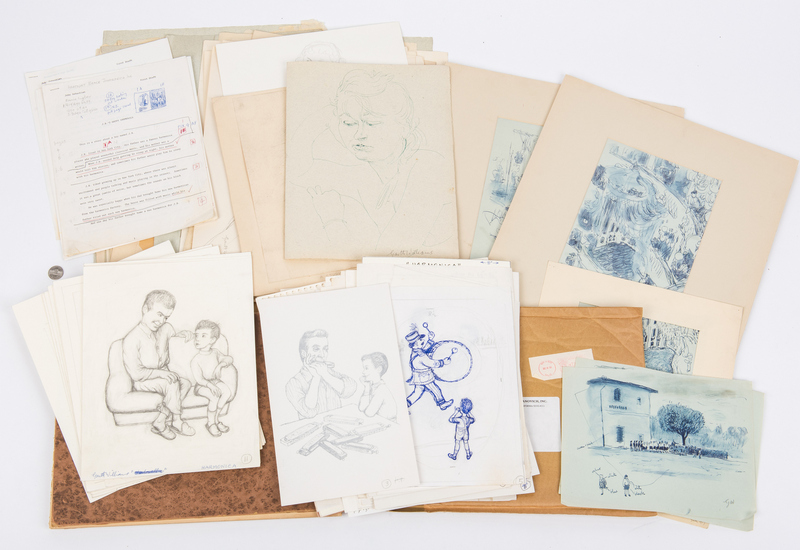 Ranging in size from to 7 3/4" H x 4 3/4" W to 11 3/8" H x 8 7/8" W. Scrapbook – 10 3/4" H x 14 3/4" W x 3/4" D. 335th-340th items: Five (5) ink on blue paper sketches depicting scenes in and around Naples, Italy, two (2) titled "Royal Box-San Carlo-Naples". 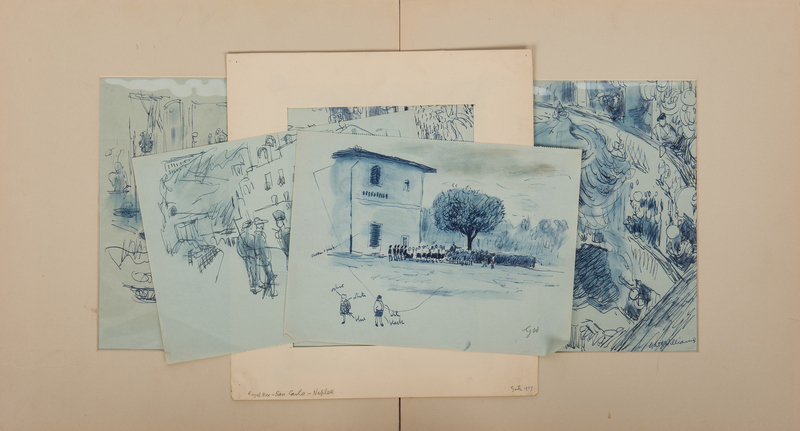 All signed or initialed by Williams, one (1) of the titled drawings dated "1937". Three (3) housed in mats. Ranging in size from 7 1/2" H x 10 1/4" W to 15 5/8" H x 14 3/8" W. Provenance: From the estate of Garth Williams. 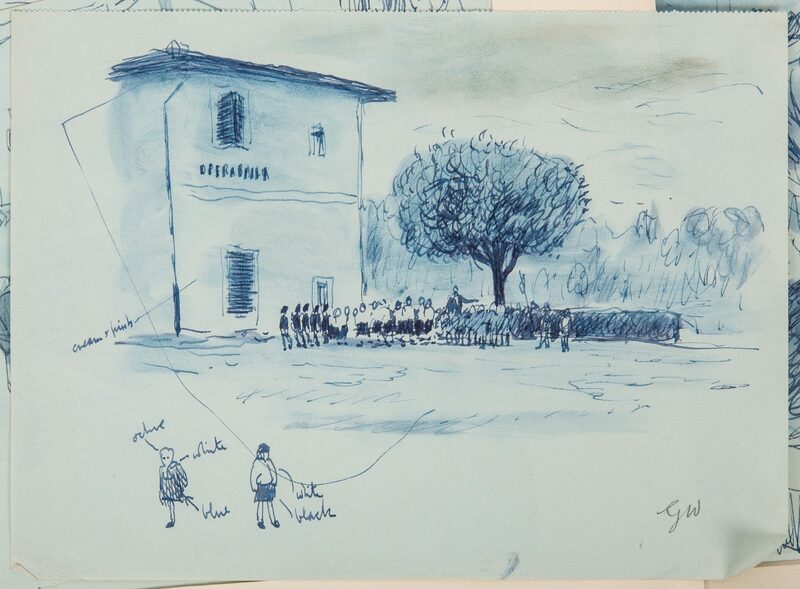 Biography: Born in New York City, Garth Williams was an illustrator of several of the more popular post-World War II children's books: Stuart Little (1945) and Charlotte's Web (1952) by E.B. White and the Little House on the Prairie (1971) series by Laura Ingalls Wilder. He also illustrated Cricket in Times Square (1960) by George Selden and The Rescuers (1959) by Margery Sharp. Early in his career, he was a sculptor, whose achievements were officially recognized when he won the British Prix de Rome. (source: Askart). CONDITION: All items in overall good condition with wear, tears, etc. to be expected from age. 282nd-334th items: Spine is not present. Pages are loose or separated from binding. Back cover separated from binding.